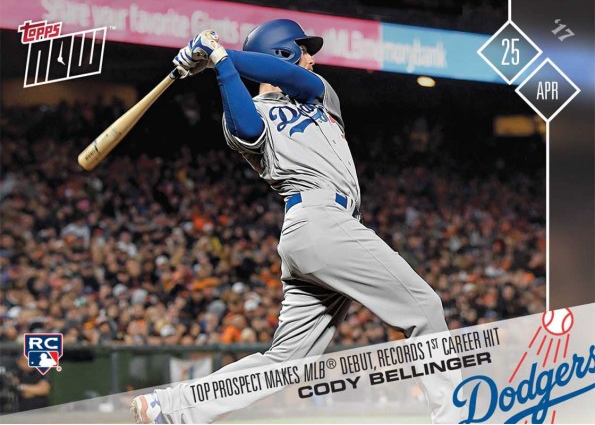 Cody Bellinger, one of the top hitting prospects in all of Baseball, earned his first big-league call-up with the Los Angeles Dodgers thanks to an impressive start to his Triple-A season (.347/.429/.627 slash line with five HRs). 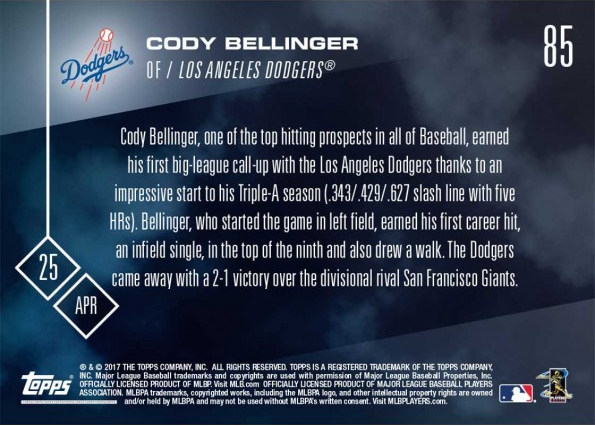 Bellinger, who started in left field, earned his first career hit, an infield single, in the top of the ninth and also drew a walk. The Dodgers came away with a 2-1 victory over the divisional rival San Francisco Giants. UPDATE: This card has a print run of 1,555 copies.